Earlier this year, the anti-vaccination film Vaxxed was pulled from the Tribeca Film Festival after an enormous outcry. Since then, though, the filmmakers have shown it to worshipful audiences across the country, and are styling themselves as the head of a new wave of anti-vax, pro- “natural health” sentiment. They’re now supporting a Canadian couple recently convicted of medical neglect for letting their toddler son die of meningitis. Vaxxed was produced by Andrew Wakefield, the ex-gastroenterologist who authored the now-retracted study fraudulently linking vaccines and autism, and Del Bigtree, a TV producer who worked on the CBS show The Doctors. The film’s screenings tend to draw a rapt, adoring audience (the screening I saw in New York was packed, and Wakefield drew applause and shouts of “We love you!” when he arrived). A schedule shows that the film began playing in Canada on June 17. 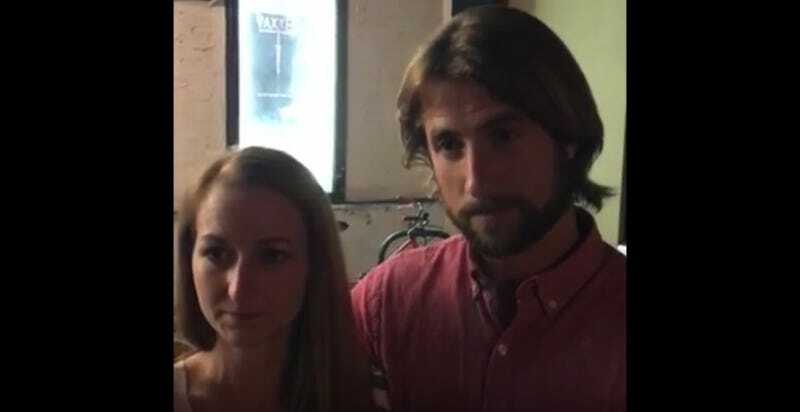 At a June 20 screening in Calgary, Bigtree hosted an interview with David and Collet Stephan, who treated their 19-month-old son Ezekiel with a variety of herbal and naturopathic remedies in 2012, when he began showing symptoms of bacterial meningitis. The little boy died after two and a half weeks of illness. The Stephans were convicted in April of “failing to provide the necessaries of life” and are due to be sentenced later this week, on June 24. The Stephan interview was first spotted by a blogger who goes by Reasonable Hank, who writes frequently and critically about the anti-vaccine movement. He uploaded a copy of the interview to YouTube; it takes place between the Stephans and Polly Tommey, an anti-vaccination activist who appears in Vaxxed. Tommey has a son with autism. Tommy believes her son’s autism was caused by a reaction to the MMR vaccine. This isn’t the way the media has played it out to be. They’ve tried to distance us from the average person by trying to say that he [Ezekiel] was too stiff, stiff as a board, to get into his carseat, that he had to be fed somehow through an eyedropper, he was being treated for meningitis with maple syrup and various — that’s not the case at all. We were treating our child with different homeopathic remedies, different herbal remedies like tens of thousands of people do. Nothing out of the ordinary and he wasn’t severely ill. Then everything just came to a crash on an evening, he ended up in an ambulance that didn’t have the right equipment and he subsequently ended up brain-dead. Prosecutors said the Stephans failed to seek medical help for Ezekiel until he had stopped breathing. It’s interesting to contrast this gentle, supportive interview with how people with autism who protested Vaxxed say they were treated at another screening in Kansas City. Jennifer Raff of the science blog Violent Metaphors wrote about her experience seeing the film (she went with her husband Colin, who has written about a cruise for conspiracy theorists that I also attended). Vaxxed has screenings scheduled in the U.S. and Canada through the end of June.